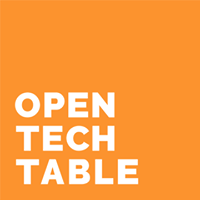 On behalf of OpenTechTable, we would like to invite everyone to our 16th OpenTechTable meeting on May 3rd. Our host this time is Anexia (Thank you very much!) Talks are held by Nicolas from PSPDFKit https://twitter.com/NicolasDular as well as Lukas from Bitmovin. Nicolas will share his knowledge on GraphQL which is an important part of the technology stack at PSPDFKit. Lukas is Software Engineer at Bitmovin and he will show us why Facebook’s React Framework is awesome and which role Redux plays in combination with React.